First, here's a little activity I picked up at my training. 2. OA. 1 Represent and Solve Problems with Addition and Subtraction (including unknowns in all positions. 2. G. 1 - Reason with Shapes and their Attributes. The picture makes it pretty self-explanatory, but basically the kids take shapes (they had lots of different ones available) and paste some on the front under a word problem they write and paste some that will be hidden by the black flap. They also write an addition problem with an unknown to reinforce that skill as well. Then students can switch and try to figure out their partner's problem. My plan is to have the kids all make one or two and maybe laminate a few good ones to keep as a center activity or in a free time basket. Depending on your kids, you may choose to have all of the students make the same one that you model first so that they get the idea before they make their own. You can also have them write the problem they are planning to use on scrap paper and have you or a friend check before they make their final project. It might also make a good center activity for kids to make together. My first thought was there is no way I'm cutting out all of those freakin little shapes! I'm thinking it might be a good job for a volunteer. I suppose you could print out shapes on colored paper and have the kids cut them for their own project. I know I've seen foam sticker shapes which would work well. Also on the Common Core front is my newest TpT venture. 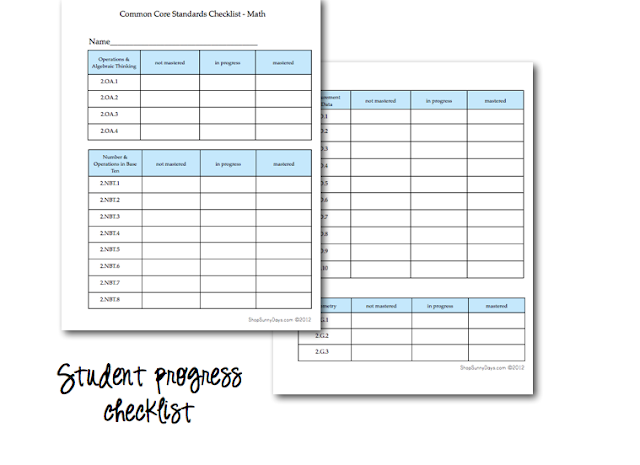 My blog buddy Jenaya from The Lesson Plan Diva asked me if I was interested in creating a CCSS Assessment pack for second grade based on her first grade version. After some thought and decisions to push some other projects to the side, I agreed. It was a LOT of work, but I'm pretty proud of how it came out. 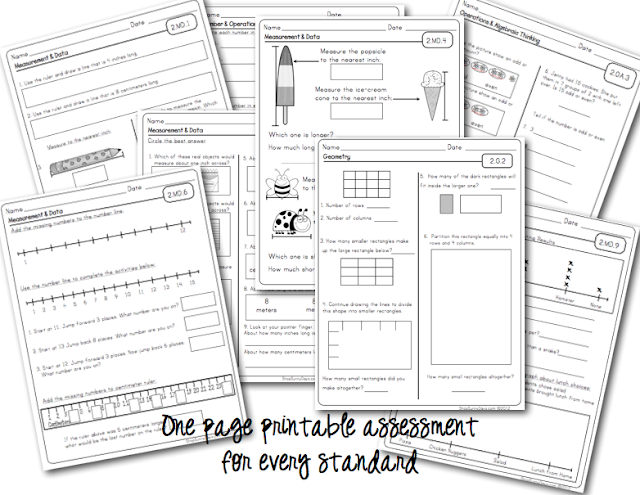 Each second grade standard is represented with a mini-poster & a printable assessment. 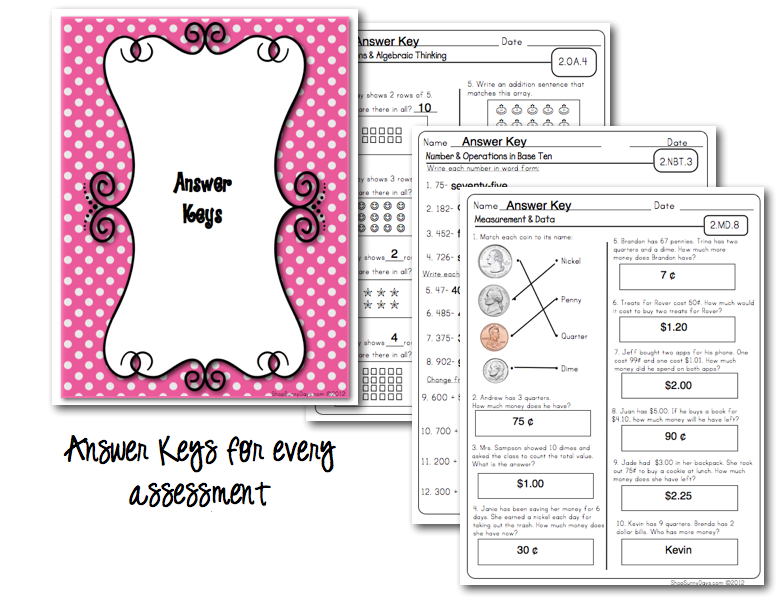 Answer keys and student checklist are also included. If you'd like to check them out, click here. Thanks, my friends! Nice work! This looks fantastic. Wow, Denise! This is like gold for second grade teachers! I will be buying this before school starts! Thanks so much for the time you invested in this. WOW! Thanks so much! I will also be purchasing these soon before school starts! I will be sure to tell my 2nd grade partners about these! Thanks again! OMG. I love these!!!! Do you know if someone is making the 3rd grade version?? I'm looping with my 2nd graders from last year. I'm off to check it out!! these look amazing! NC put out standardized tasks we will have to use, but I may get these anyway! Thank you! This is on my wish list. BRAVO!!!!!! 5 stars!!! I am a 2nd Grade Teacher and this is "GOLD" THANKS for sharing! Check out my Blog if you have not done so already!! THANKS AGAIN! I love these! I just popped them in my TPT cart. I know it was a huge undertaking but any chance ther is something similar in the works for ELA? You rock! Thank you Denise!! I had seen Jenaya's 1st grade set, and I was hopin' & prayin' that a 2nd grade version would be in the works soon! I will definitely be purchasing these before school starts too. I'm also letting my whole team know about this little gem! Can't wait to see what you do with the ELA CCSS. Thank you for all your hard work! Wow! These look fantastic! I am going to have to pick them up! Wow! 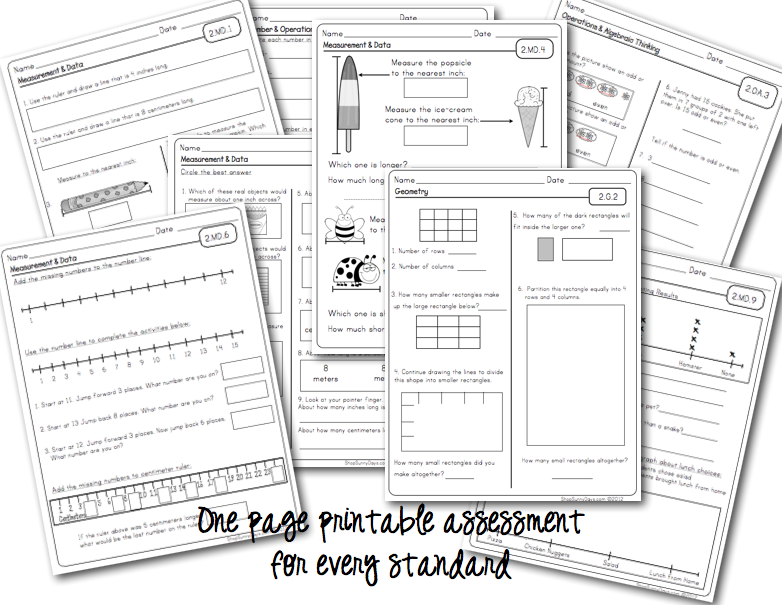 This assessment pack looks great!! So glad I found your blog! Will pass this along to my teacher friends in the States. 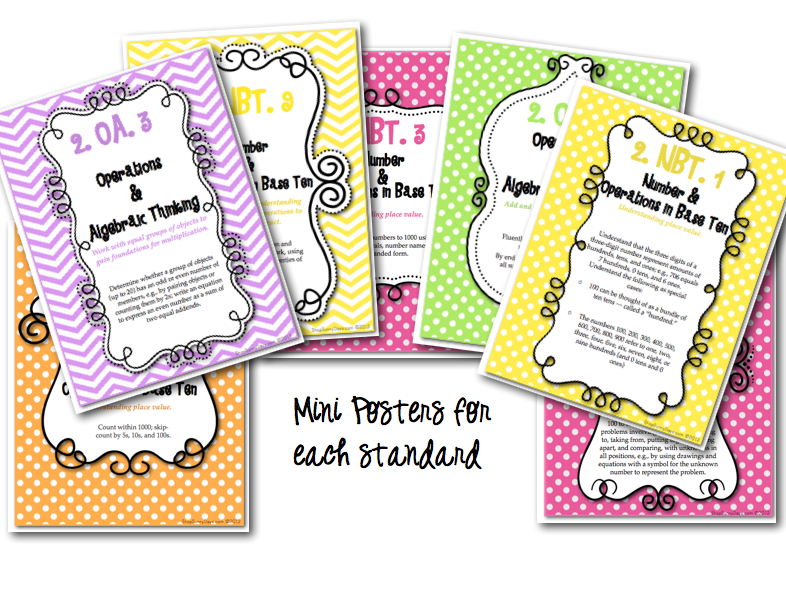 Would love if you would stop by my blog-I have a FREEBIE for second grade math journals (aligned to Common Core, of course)!